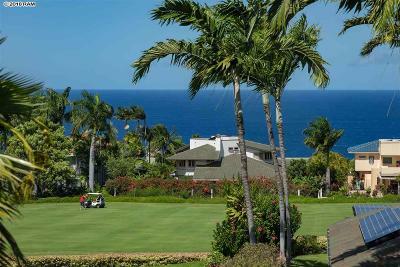 Located on the 11th Fairway of the Wailea Blue Golf Course, the property offers amazing ocean views and lush grounds. Built in 1998, the community consists of 24 two-story buildings with a total of 118 condominium units. Amenities include a pool and spa, recreation area with kitchen, barbecues, fitness center and storage for kayaks, sups, and surfboards. Vacation rentals are not permitted. Pets friendly.